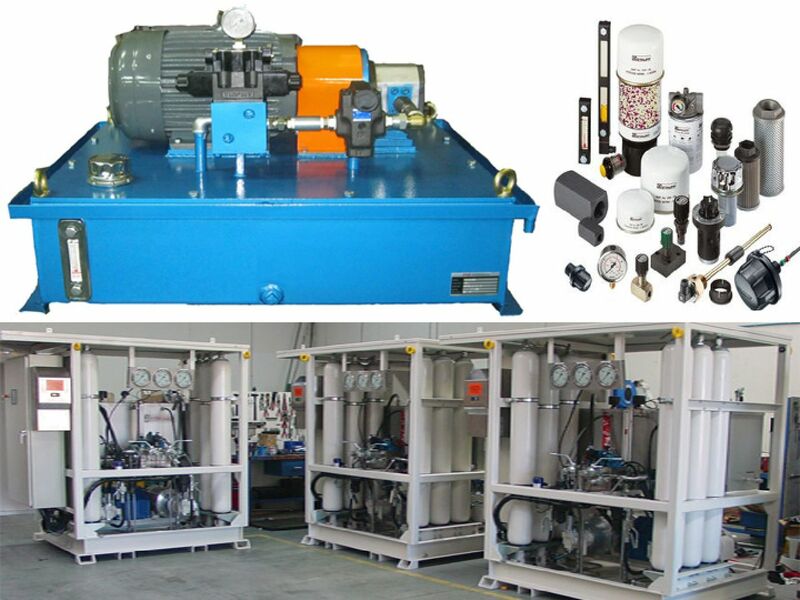 SPCO Hydraulics offers a vast range of hydraulic products, engineering and MRO services cater for heave compensation tensioner system for riser or pipe laying system, deck machinery, offshore crane, hydraulic grab, oil cooler, hydraulic power pack or fitting high temperature stainless steel hoses in an engine room etc. At SPCO, we provide fabrication and fittings services according to your system or module requirement. Fabrication for use in industrial settings requires that many different variables are taken into account. It also has to be accompanied by testing that ensures any of the products manufactured for a particular purpose will be able to handle the stresses and strains. the level of quality they expected. 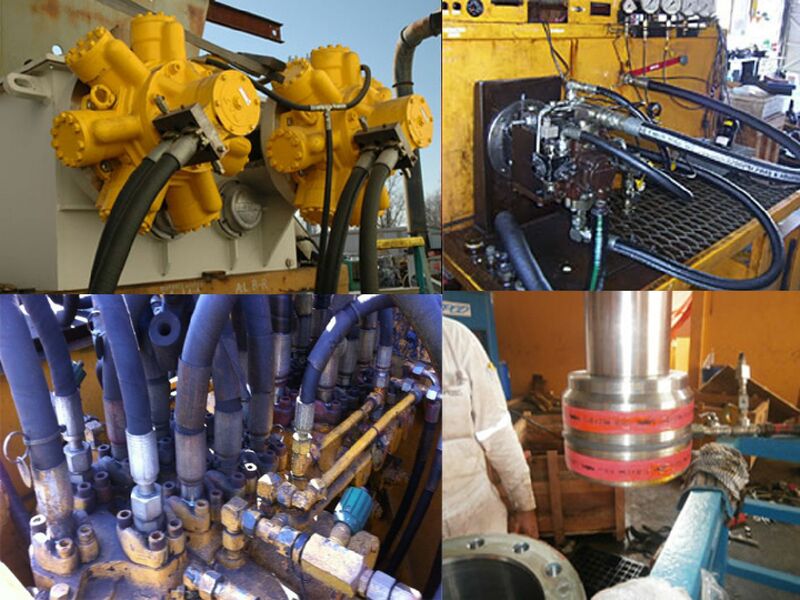 At SPCO, we understand that machinery downtime can cost as much as USD1mil each day and it only takes one 6” hose related incident on a rig to shut down your entire drilling operation. 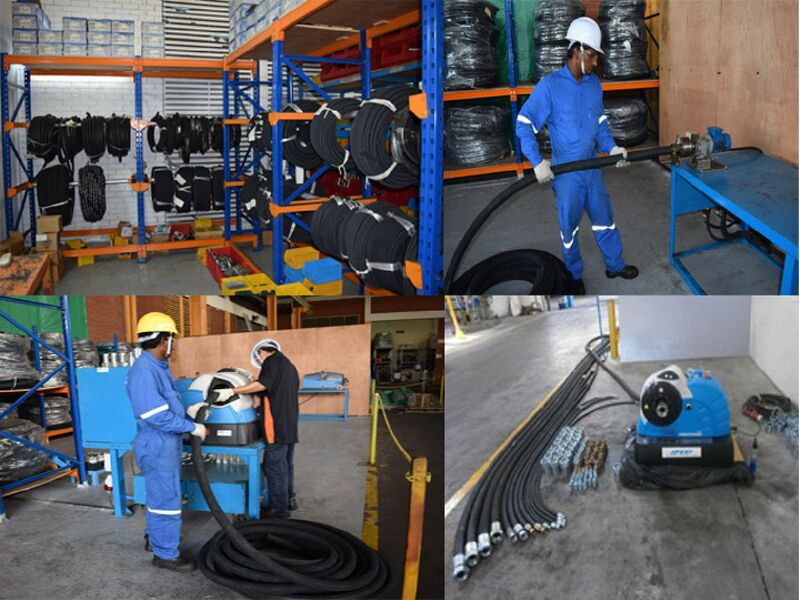 Hence, rest assured that we are committed to international service support to minimize downtime by providing versatile repair of o-ring, complex proportional control valves, variable displacement pump, motor, hydraulic machinery, cylinders/rams, accumulators. As long as its hydraulics related, we can fix it (or sell you a brand new one if it is really beyond repair). 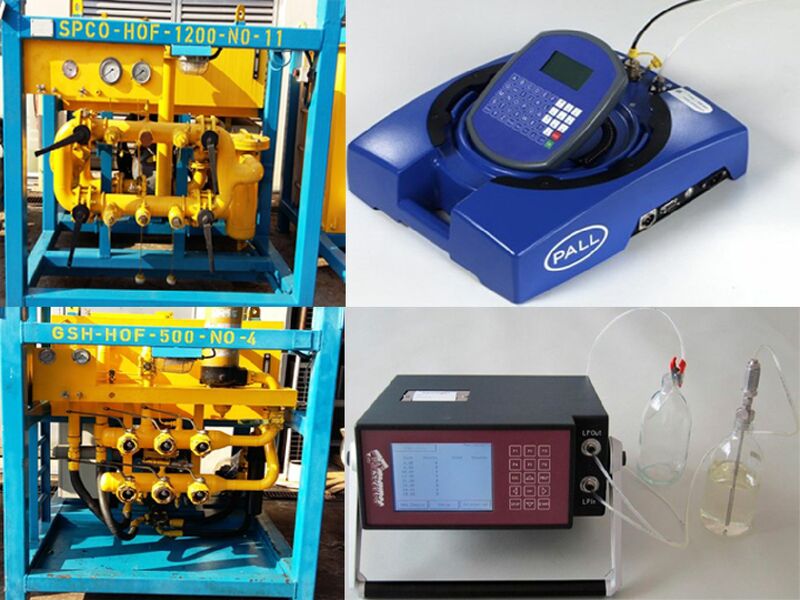 We own and provide a fleet of chemical flushing equipment and hot oil flushing equipment which are customized and built according to customers’ system requirements. 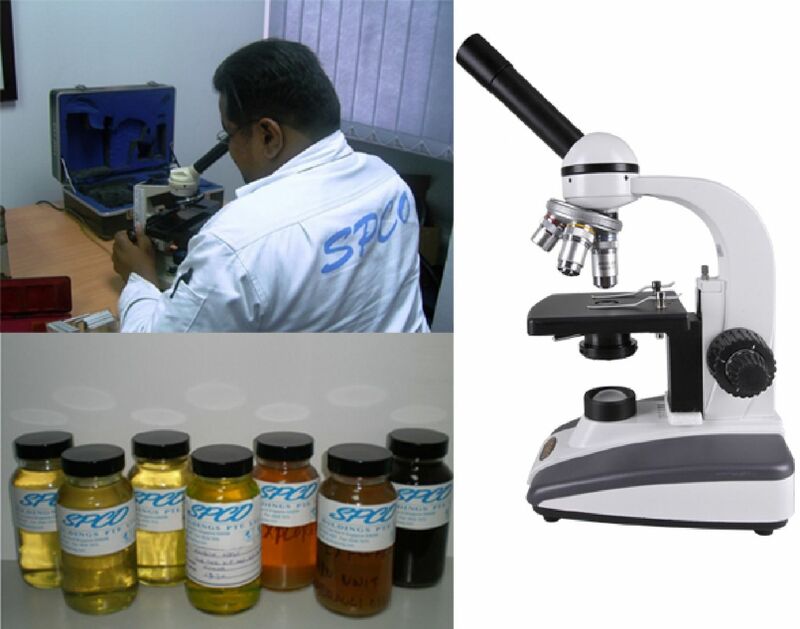 Fluid Analysis report will be provided for every cleanliness result depending on system requirements. Our equipment comes with a full range of interchangeable filter elements (as fine as 3µ to 10µ) that will cater to your individual needs and help you achieve maximum cost savings by maintaining oil cleanliness and integrity of the piping system via our highly controlled oil contamination procedure. 1. Hot Oil Flushing is a term used to describe the process of removing unwanted moisture and oil contamination found in the hydraulic systems. 2. Oil Contamination is defined as substance that is not part of the hydraulic system's working fluid. Our pressure test ensures pipelines or vessels are leakage free and comply with international safety standards or as per defined specifications. The test involves filling the system with liquid, which is then pressurized to a specified pressure and hold for a period of duration depending on its standards or specification. All procedures are documented in the operation manual and equipment certificates are included. We offer hose crimping service which is both versatile and powerful enough to solve most of your hose problems both in-house or onsite. Couplings standard may follow JIC, BSP or Metric type according to requirement. We provide machining and have a vast lot of fittings to suit your machine. 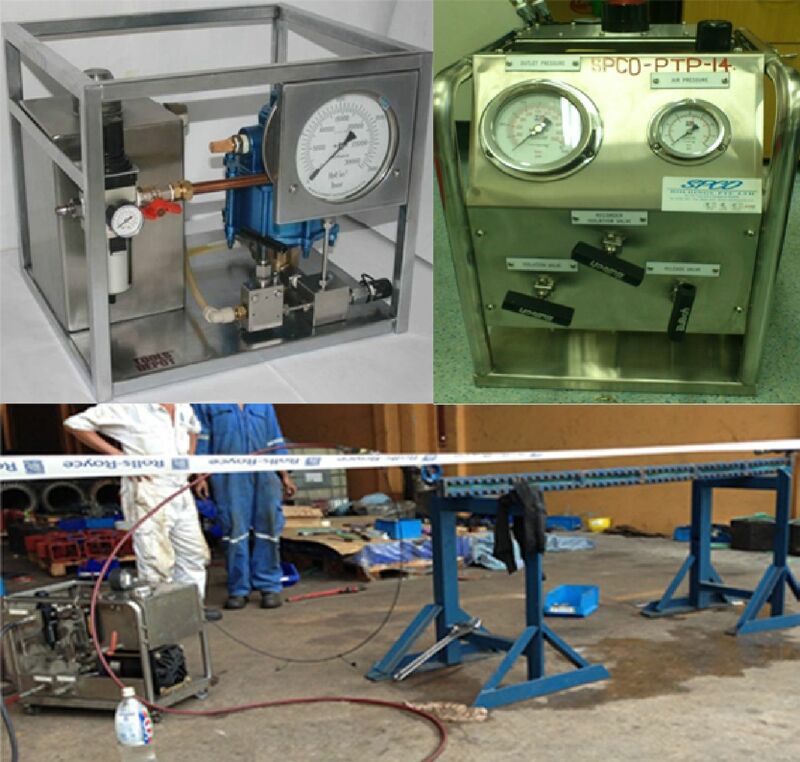 Hose can come with pressure testing certificate and approved by DNV authorities depending on requirement.